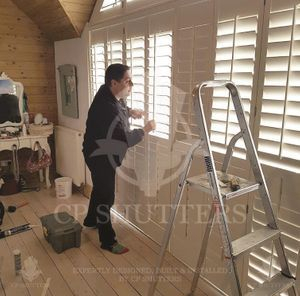 Here at CP Shutters we pride ourselves on our unrivalled reputation for premium product and quality service. Over the years we have received many wonderful reviews and testimonials from our happy customers, as well as winning prestigious awards such as the Houzz Service Award. Our business has grown from strength to strength over the years, all thanks to our wonderful customers spreading the word of CP Shutters. To date, around 80% of our Shutter enquiries are a direct result of customer recommendation. Not only are we proud of our reviews and testimonials, but also to be members of Check-a-Trade and have the honour of being Trading Standards Approved. As of July 2018 CP Shutters averages a total score of 9.95 out of 10 on Check-a-Trade. Excellent service from this company. Every member of staff deserves credit for how the business is run. They put the Customer first and want you to be happy with your purchase. The quality of the shutters is excellent and you are given a 10 year warranty. At CP Shutters we are continually monitored by Trading Standards to ensure we maintain our exceptional levels of customer service and product quality. To our knowledge, we are the only Shutter Specialists in Essex to pass Trading Standards stringent tests every year. Our customers are often surveyed by independent associations too, again to ensure we maintain standards. 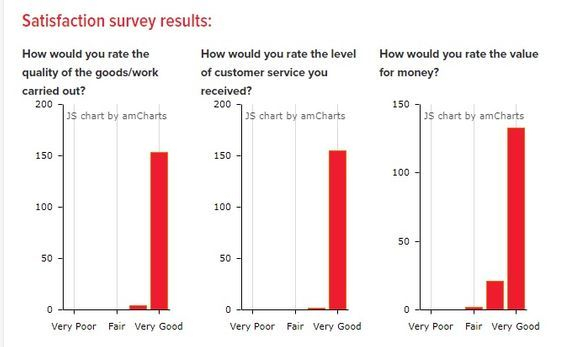 Here is an example with Trading Standards own satisfaction survey. With the rise of social media customers have a multitude of options when it comes to writing reviews and spreading the word about companies on the internet. If you search CP Shutters on Facebook, Twitter, Houzz, Instagram or indeed virtually any social media site, you will find yet more great reviews and happy past clients.